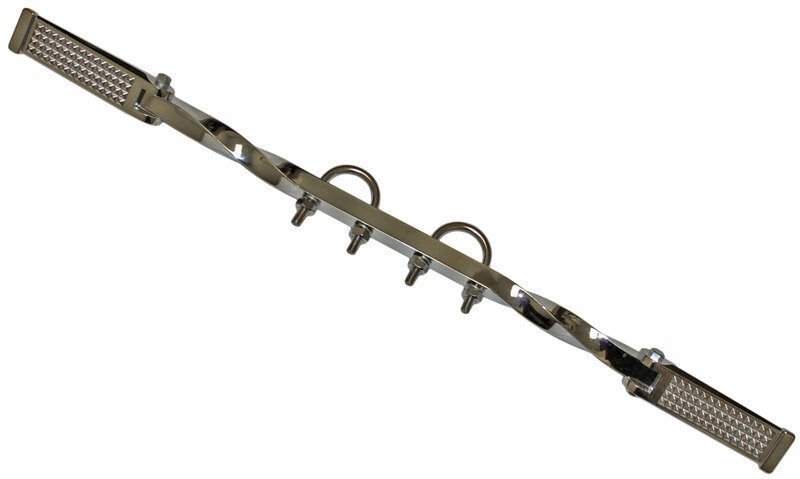 This is a Chrome Double Twist Highway Bar Complete with Chrome Footrests and Clamps. 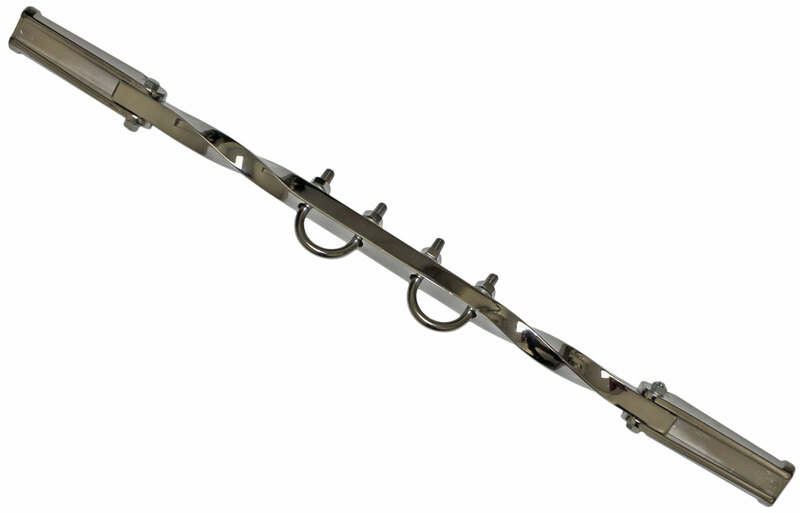 Manufactured to Mount on all Double Loop Frames Including HD 74 and Sportsters. Length with Foot Pegs: 25"
Length of Bar Only: 17-3/4"
Center Length (Between the Twists): 6-1/2"